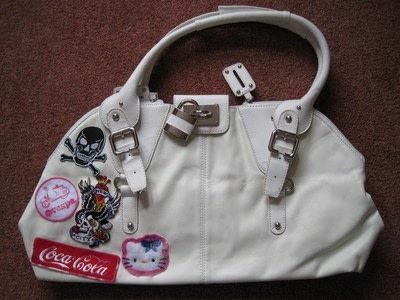 Get the designer bag, without the designer price tag. So, you want a Paul's Boutique bag, but you don't have the cash. 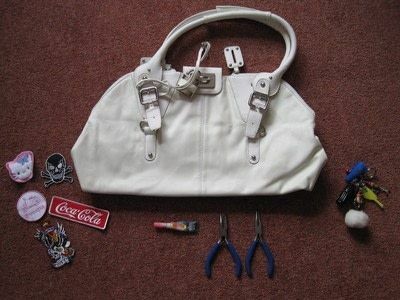 Well, follow this easy step-by-step to achieve a look-a-likey bag that you DIY'd. 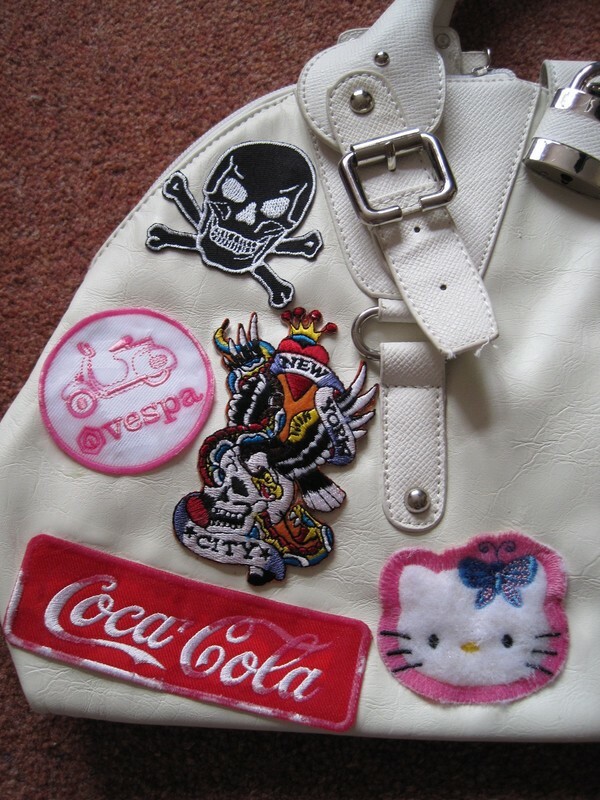 All you need is some charms, some patches and an old bag. Stick on your patches. I used super glue to do this. I found it worked best with patches that already had iron-on tack on, because the ones without, the glue just got absorbed. Alternatively, you could sew each patch on, but I lack the patience to do so. Next, add a charm to your bag. I made one myself by recycling old keyrings and clustering them all onto one keyring. 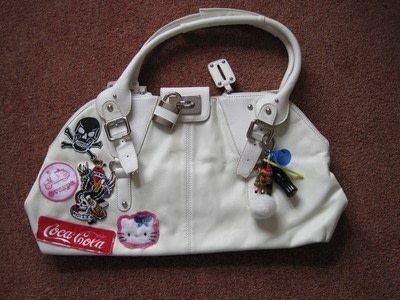 To make it even more authentic, you could add a pom-pom, like the Paul's Boutique charms have. Et voila! 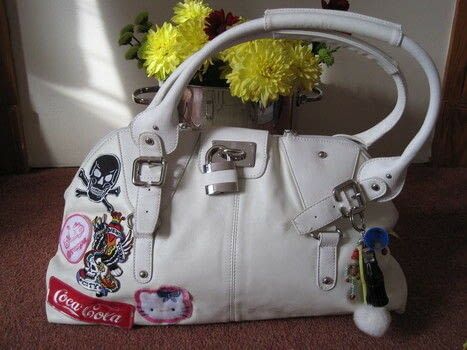 Your very own copy-cat designer bag, without spending the dosh.